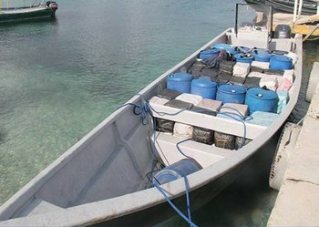 Although Memorial day is a nationwide public holiday in America, the crew member of the Customs and Border Protection office of Air and marine who spotted and reported two suspicious speed boats that were cruising around in the Pacific ocean managed to help authorities conclude a cocaine bust of more than $1 billion worth! As the article on CNN explains that American Customs and Border Protection offices are working around the clock to prevent illegal drug trafficking and other international crimes from occurring, this time they managed to pull off one of the biggest cocaine busts to date. U.S officials of the Customs and Border Protections services are working with other countries around the globe in an international cooperative law enforcement effort to stop transnational criminal activities, if the cocaine bust is anything to go by, soon there will be less transnational criminal activities taking place as criminals will realize that their profit margins are dropping drastically as their runners are being caught.